Following on from the controversies this week over his post on social media regarding people he declared were ‘going to hell’, Israel Folau has doubled down on his statements despite his career hanging in the balance. 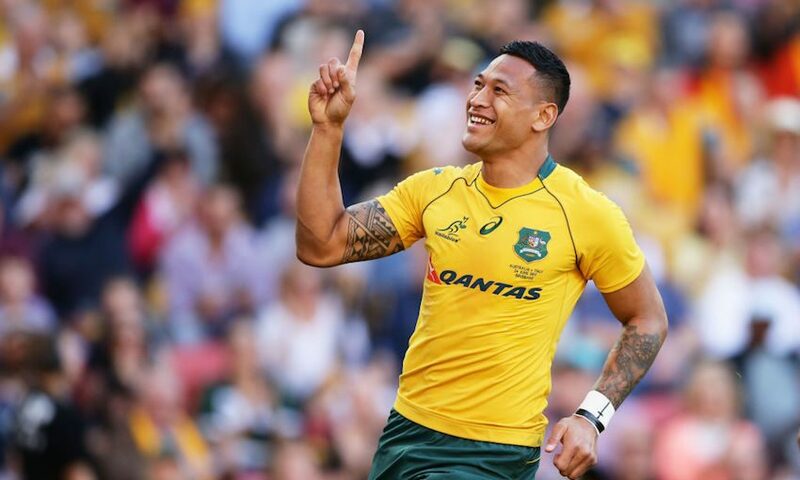 Folau has been quoted as saying he will give up rugby “if that is what God wants” and that he believes God is in control of all things. Now, an insider close to the man is saying that Folau is ready to hand his life completely over to the Lord God. “He has truly seen the wisdom of the word of God, and now believes this was a divine intervention,” our insider told The Stuffed Herald. Our Herald asked the insider what this would mean for Folau’s decision-making moving forward. Our Herald pointed out that delaying too long at a road intersection could cause a hazard and breach driving laws, however our insider disagreed. Folau was today given 48 hours to respond to the sanction he has been issued with by Rugby Australia. If he fails to respond, the matter will proceed to a code of conduct hearing, where his fate will be determined by the panel.